I’ve been eating guacamole for days and it’s been FABULOUS!! 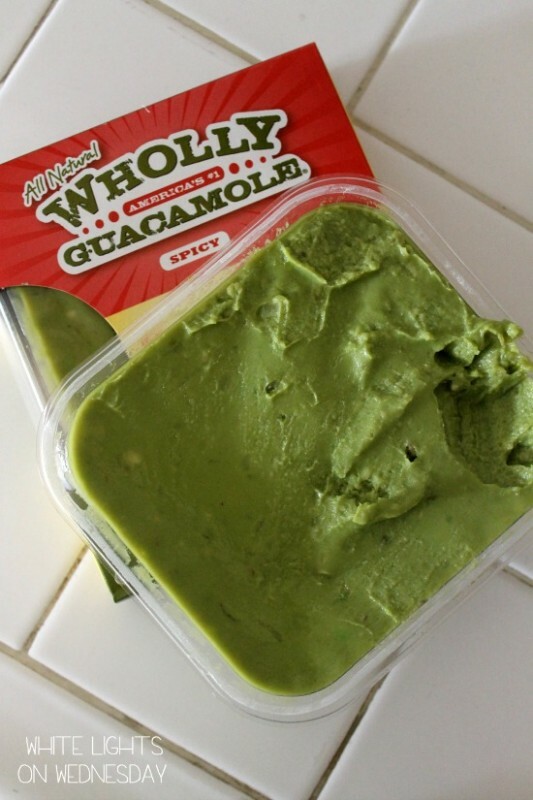 If you’ve never heard of Wholly Guacamole, it’s the bee’s kness. No joke. I gushed all about it with my Beef Taquitos recipe post 2 years ago. I swore off store bought guacamole when I was 10. I never found one that tasted good. The textures were weird and flavors were gross. Give me my mom’s homemade batch any day. Then one day, we were at Costco and my mom bought a two pack of Wholly Guacamole. She gave me one of them and told me to try it. I was hesitant, but she promised it was good. I was expecting a not-so-sucky guac, nothing to write home about. I was SO wrong. It’s freaking awesome. Let me put this into perspective for you. Mike and I have been together for 7 1/2 years. He’s vehemently anti-avocado and guacamole. I’ve tried countless times to just get him to try a bite of something with guac or avocado in it to no avail. Then the Earth stopped spinning. Two nights ago I busted my last mini 100 calorie Wholly Guacamole cup. I plowed through them all. I was minding my business sitting next to Mike on the couch with my guac and chips. He perked up and said the guac smelled good. I said it’s really freaking good. And then the unthinkable happened, he asked to try it – just a little tiny bit on a chip, but he was about to eat guac! He loved it. L-O-V-E-D, loved it. He stood around while I was making this chicken eating the rest of the regular sized Wholly Guacamole package while I gave him the evil eye to remind him not to finish it off without me. I’m still in shock. 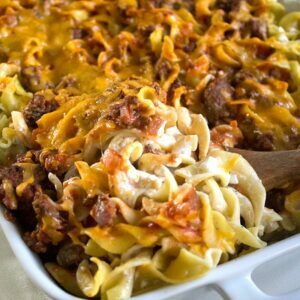 Okay, so this dish. It’s creamy and it packs a bunch of flavor and it’s a little crunchy and I can’t wait to make it again – and eat all the rest of the guac pack. Butterflying the chicken and pounding the chicken lets it cook quickly along with making sure it cooks all the way through in a short time. 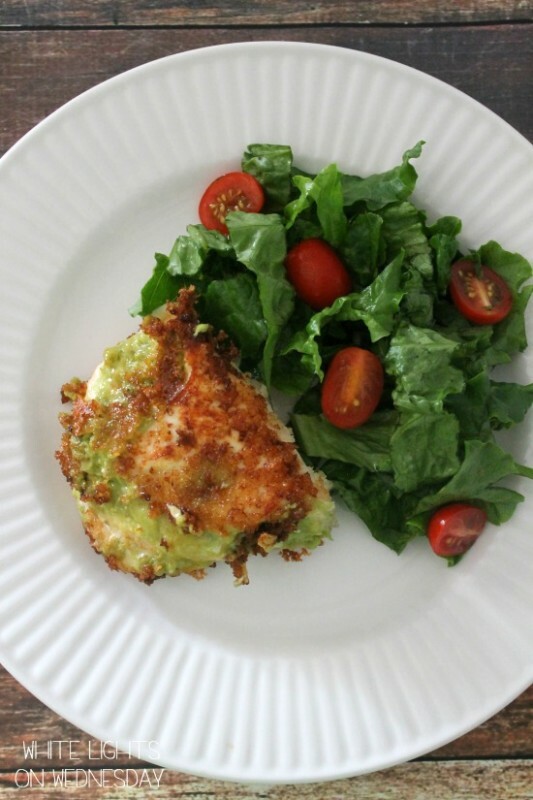 Serve it with a salad (think taco topping for salad add-ins to complement the guacamole flavor), rice, or your favorite side. 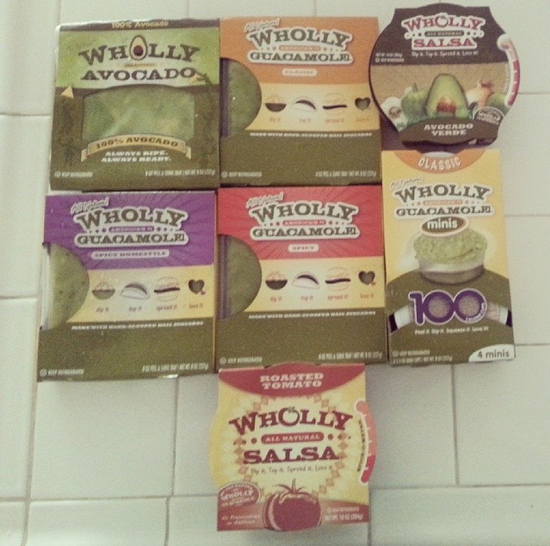 Be sure to enter the Wholly Guacamole giveaway at the bottom of this post. Heat a large skillet over medium heat. Add the oil so it's about 1/2" from the bottom of the skillet. Butterfly the chicken breasts, but cut all the way through instead of just opening them up like a book. Pound the four thinner chicken breast halves really thin with a meat mallet. This will make sure they cook all the way through and speed up the cooking time. Turn the heat on the stove up to medium-high. 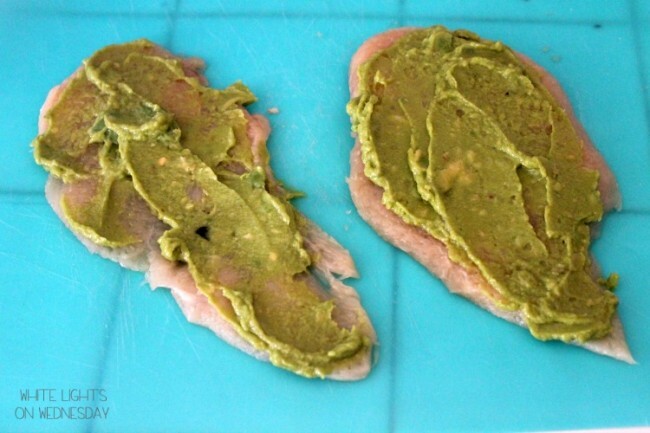 Place 2 tablespoons of guacamole on top of each chicken breast. 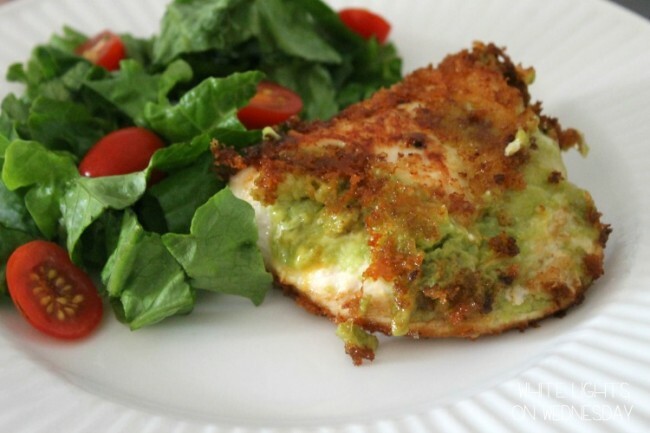 Use the back of a spoon to spread the guac evenly over the chicken. Sprinkle 1/4 of the cheese over each chicken breast. 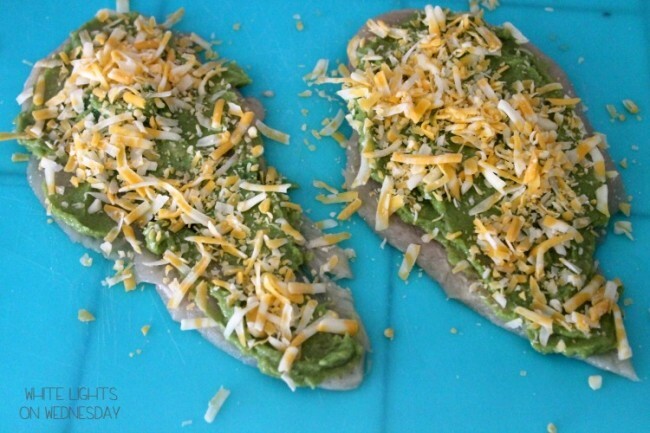 Carefully fold the chicken in half, guac and cheese on the inside, until the ends meet. In a wide bowl, mix together the bread crumbs and Adobo seasoning. Press each side of the chicken breast into the seasoned bread crumbs, and then carefully place the chicken in the hot oil. 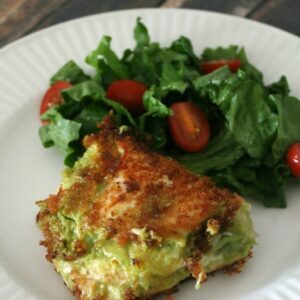 You may need a splatter guard, some of the guacamole might ooze out and make the oil pop. Cook the chicken for 3 to 4 minutes per side, until cooked through and browned. Remove to a paper towel lined plate. 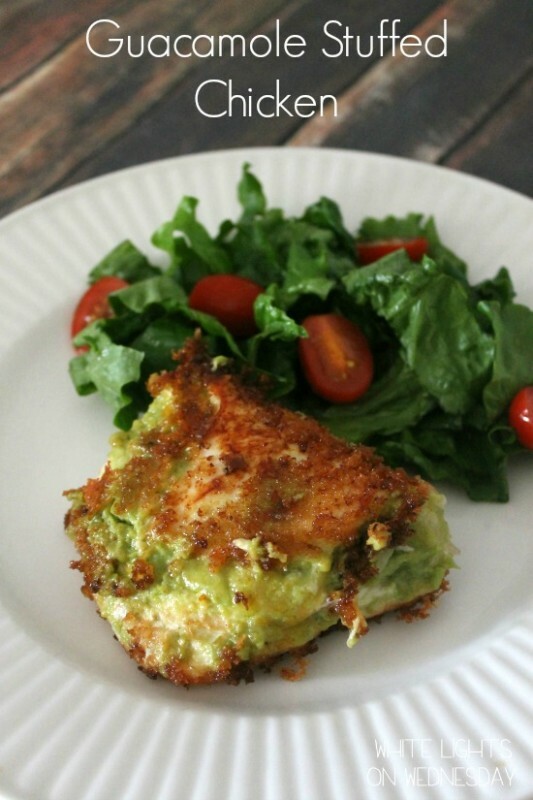 Serve with a salad, rice, or your favorite side. Disclosure: This is sponsored recipe for Wholly Guacamole through 15 Minute Suppers. Recipe & opinions are my own. That looks delicious! This is definitely one I will have to try! Wow, this looks like a gourmet meal and it only took 15 minutes. Perfect for company! 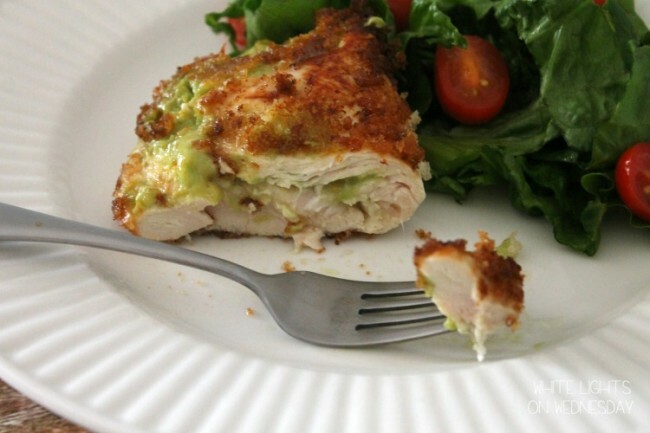 This guacamole stuffed chicken looks great, I love avocados, will definitely make this. 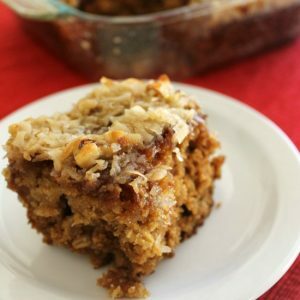 Thank you for the giveaway and great recipes. Love! Love! Love! Wholly Guacamole is the bombdiggity! I love the minis. They make portion control easy and delicious! Can’t wait to try it out- thanks for the recipe! Thanks for participating this week. 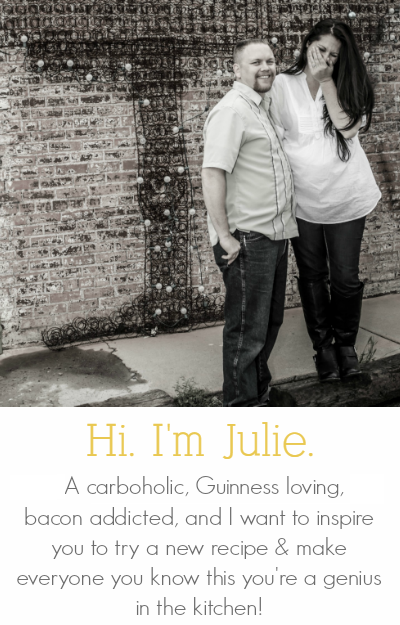 Glad your liked the Wholly goodies! I’ve never done a stuffed chicken breast before. This sounds totally doable. Thanks for sharing! 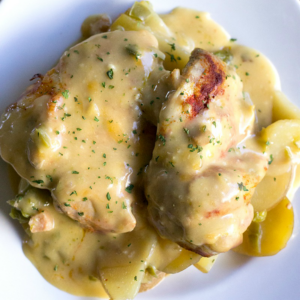 What a great way to cook chicken quickly! Thanks for the quick dinner idea! I can’t wait to try it! Why would you not have baked this dish! Get off the fried chicken wagon! It could be a very tasty recipe baked! 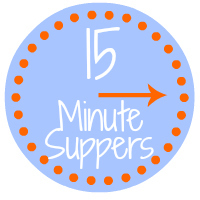 I’m sure it would, but I needed everything to be ready in 15 minutes or less. 🙂 I was planning to bake it the next time I prepare this dish.